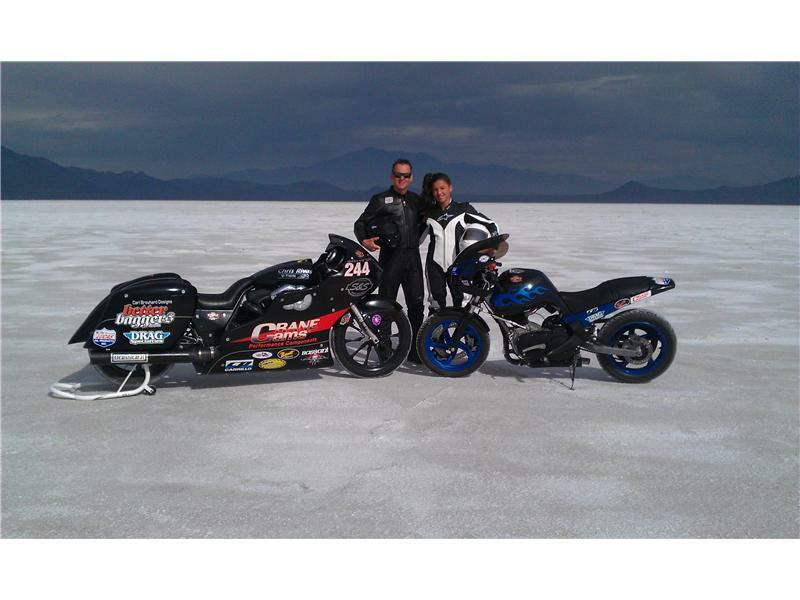 Cayla Getting Advice From Dad. 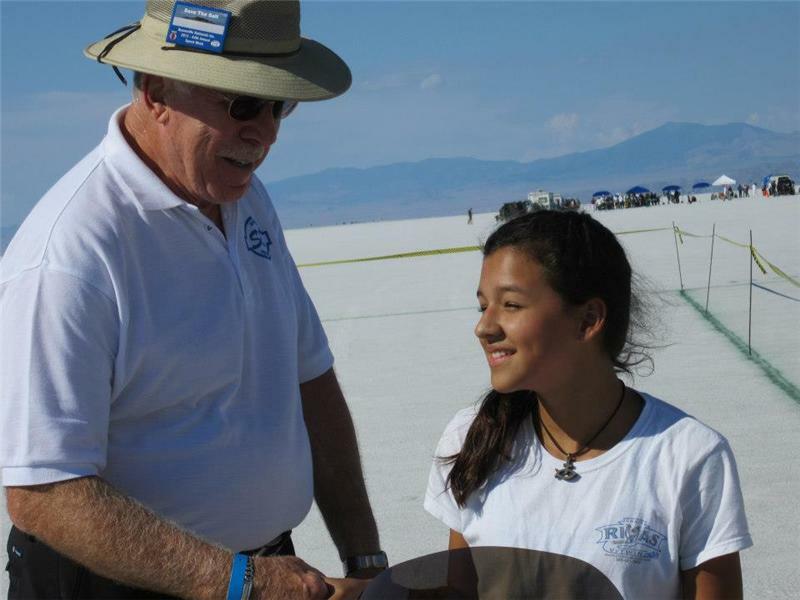 Cayla gets priceless information and congratulations from close family friend, Bonneville legend and S&S Cycle Owner George Smith. 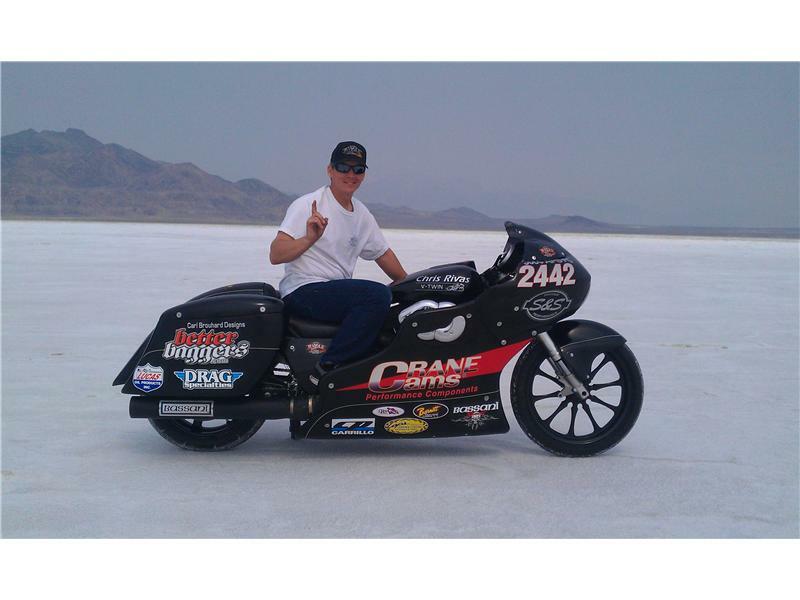 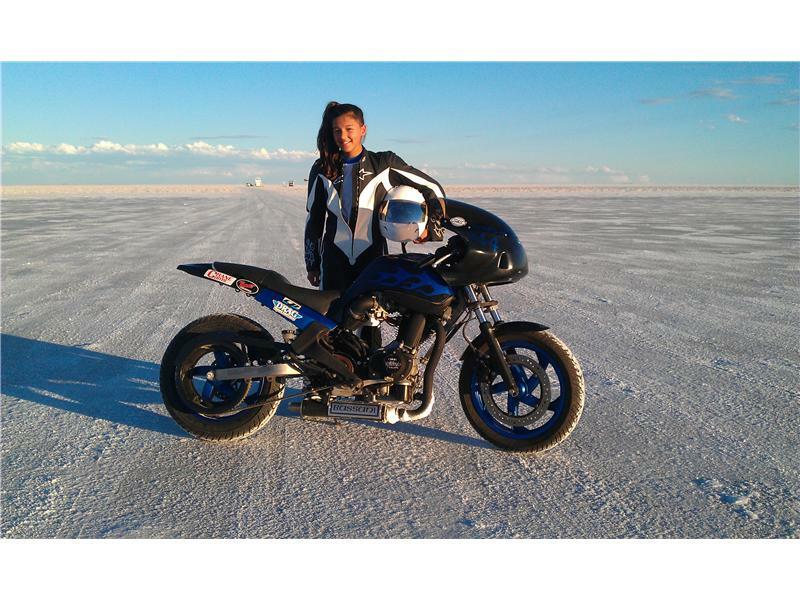 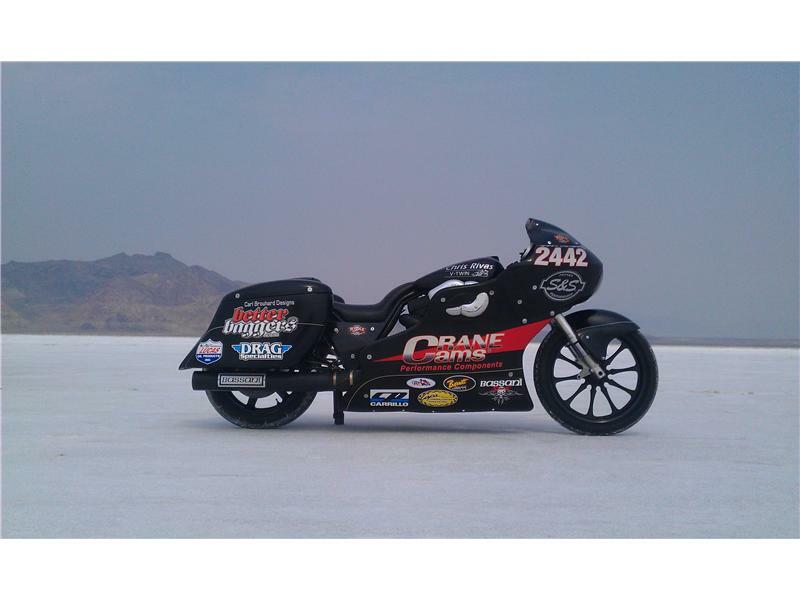 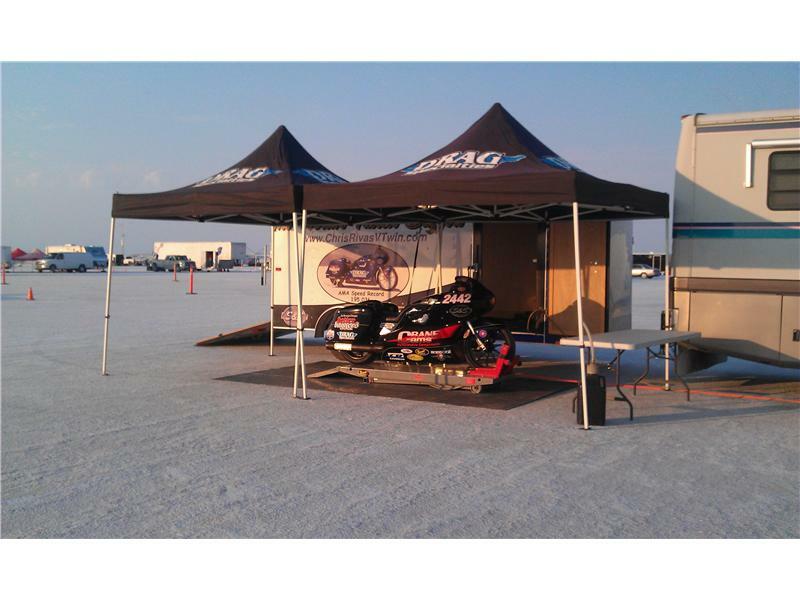 Cayla has her first attempts at Land Speed racing at Bonneville with a Modified 250cc Buell Blast top average speed recorded was 65.968 mph.